I was given the opportunity through Fitfluential to try out some products to review. I was sent a box full of goodies. There were 6 protein bars, 3 boxes of Protein 2GO, 2 cannisters of portein powder and 2 protein shakes. 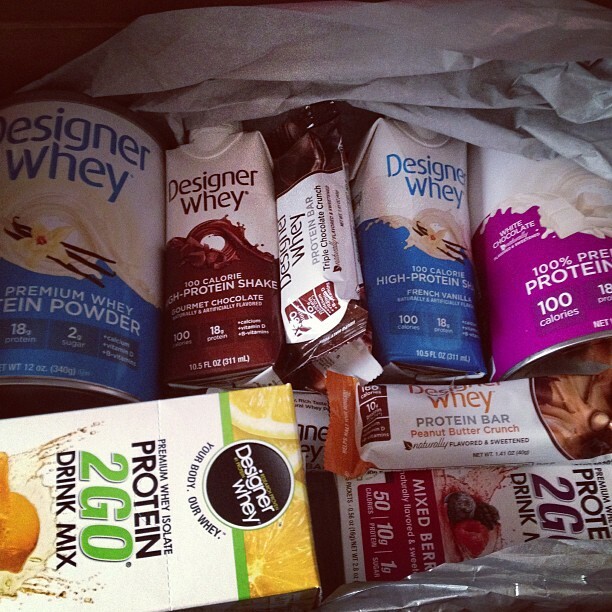 The winners in this box in my opinion were the protein bars and the protein powders. I also love the easy to eat on the go nature of most of it. 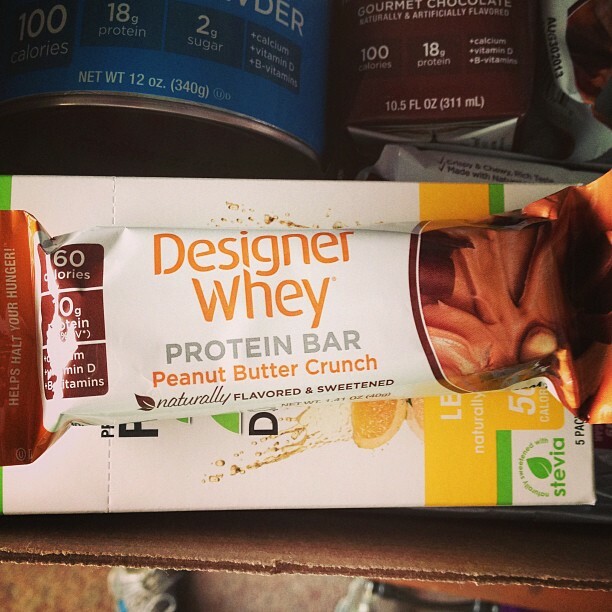 My favorite thing in the box was the protein bars. I thought they were all pretty tasty, especially the Triple Chocolate Crunch. 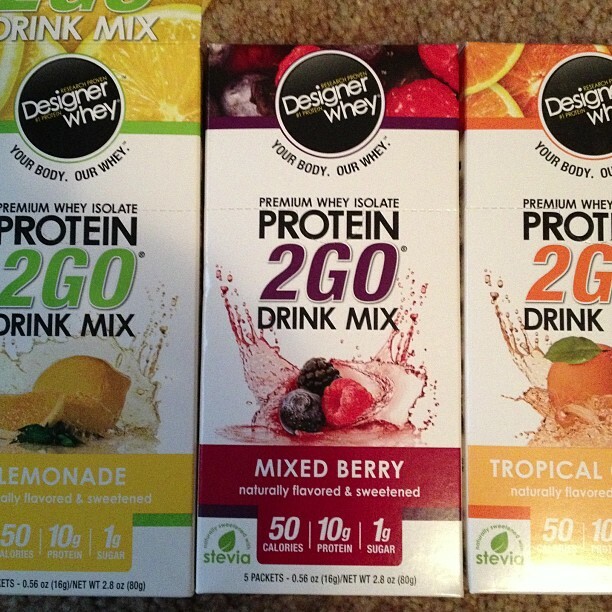 There are three flavors and they all come in under 170 calories with 10 grams of protein. Makes a great and portable snack or breakfast in the car on my way to work, which is how I ate most of them. The protein powders actually come in 9 different flavors that all sound pretty scrumptious including Pecan Praline..which I was not sent. I got the French Vanilla and the White Chocolate. They both blend awesomely into smoothies with fruit. The protein shakes were also great for on the go, I used one after work one day after a run and another as refueling after a run. I thought the vanilla one was pure yum, but had a hard time with the chocolate one. It seemed to have a funny taste in my opinion. I would buy the vanilla again. The Protein 2Go is a great option for getting some protein into your diet while out and about. The little packs can be thrown into your purse or gym bag and added to water when you are ready to consume them. I really like the mixed berry! I was sent these products to review, all opinions stated are my own and I was not compensated in any other way for this post. So far I have not found any protein powder etc that I like, they all have a weird after taste :/ I haven't tried this one yet though. 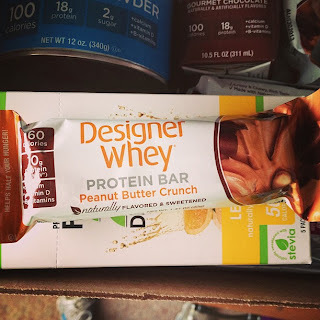 Thanks for the Designer Whey review. I'm always looking for good protein bars and powders to try. Pecan praline sounds interesting. Bummer you didn't get to sample it. I like their white chocolate powder mixed w almond milk and raspberries!!! Perfect flavor!